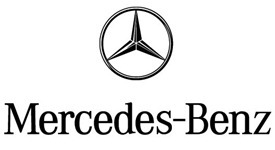 Mercedes is one of the world leaders in the luxury car market. It has a global market share of about 40%. In 2010 it has been able to achieve its highest return on sales of about 8.5%. In India, Mercedes along with Audi and BMW are among the top luxury car brands occupying more than 55% of this market. And now Mercedes has introduced some more interesting plans to support its already existing operations in India. Earlier this year, they already introduced the global pre–owned car programme “Proven Exclusivity” for India. In its first phase, it has been pretty successful with sales of more than 400 units and there are plans of opening many more centres in the near future. Mercedes is also now looking at introducing an A–Class segment car in the country. Now this should be something interesting. Some may say that this may undermine their value of being elite or a status symbol. But you never know, it would be interesting to see a product like BMW’s Mini Cooper on the Indian roads. And for people who may not normally be able to afford a Mercedes, this could be their chance. The other plans include on starting the financial services arm of Mercedes which would concentrate on financial leasing and also providing insurance. This could be an interesting initiative for those who are looking to paying the costs in instalments. As pointed out earlier, this interest in Indian market is mostly because of the higher disposable incomes among the people of the country. The way the economy has chugged along to a growth rate of more than 8.5% has also brought some measure of confidence among the people. Another notable factor for companies like Mercedes is that their target group has changed to young high flying executive who are just about 25 odd and have the money to splurge. These developments from a leading luxury car manufacturer like Mercedes look interesting. Mercedes launched the lower end of the E–Class in India and also is planning to launch the A–Class segment car which was withdrawn in Europe. Would such a move not cause problems for them with time? Or is it that they are still testing the waters? How many of you would be interested to buy the Mercedes A–Class segment car if and when it comes out? I recently came to know that Mercedez would also be coming up with luxury buses on the Delhi-Jaipur route, quite similar to the omnipresent Volvo buses on Indian highways. Yeah Mercedes luxury buses are already plying the roads on certain long haul routes..I have travelled once from Pune to Goa but didn’t find anything special..